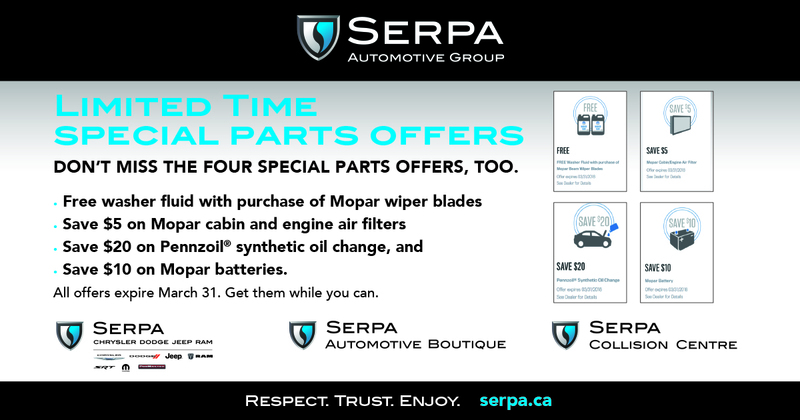 Another fine example of before and after at the Serpa Collision Centre. This time with a Jeep. 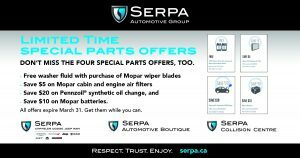 Check out our parts specials too. Give us a call when you’ve had an accident. 24/7 towing, too.